Since it was initially released on February 2012, we have seen several colorways of the Jordan RCVR, most were hit, but some did not get the taste of Jordan shoe fans. This time, a famous colorway has been released soon, which is expected to be well-accepted. The Jordan RCVR is now available in University Blue/Obsidian – White – Action Green colorway. 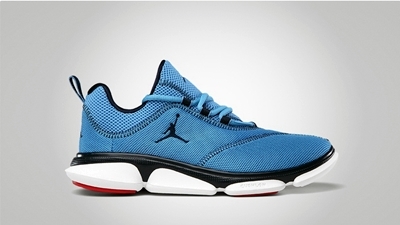 It features a university-blue dominated upper part with black stitches and Jumpman logo. It has black midsole and a mixture of white and red touches on the outsole. Check this one out and you will absolutely love it!